You can download this poster and distribute in your organization. 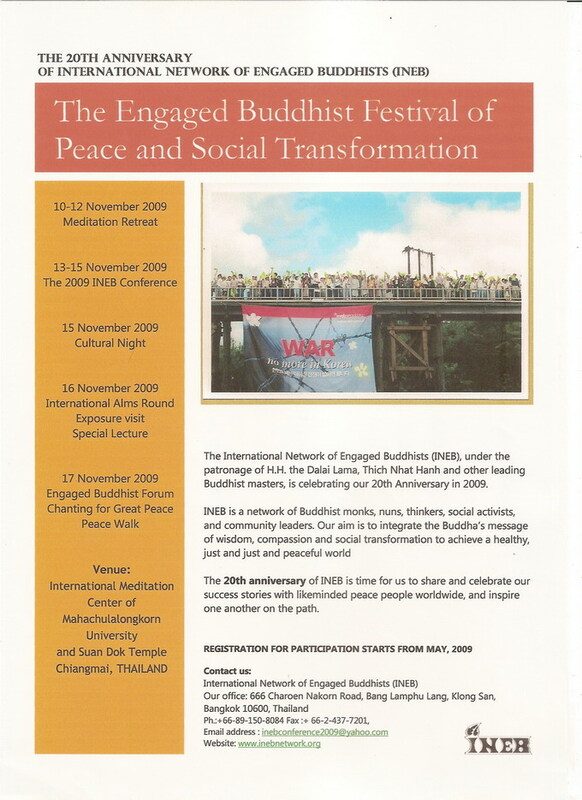 INEB is the network of Buddhist monks, nuns, thinkers, social activists and community leaders. 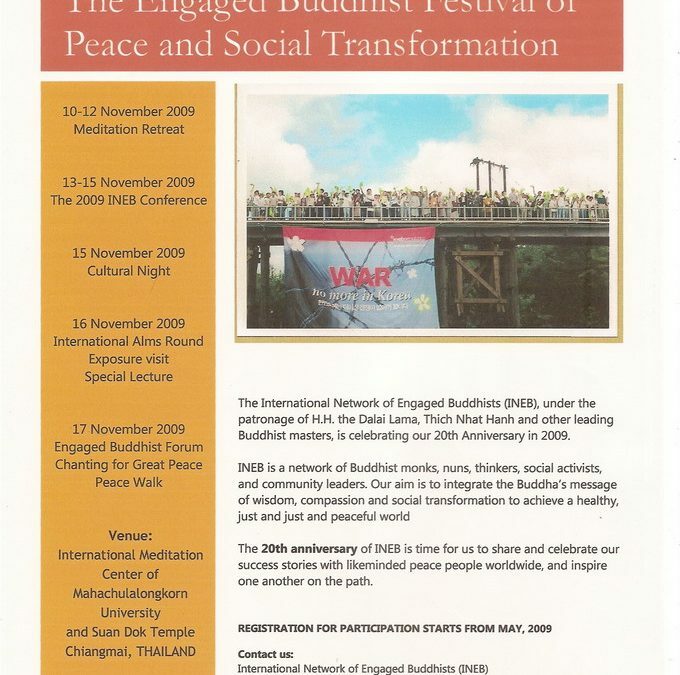 Our aim is to integrate the Buddha?s messages on wisdom and compassion for social transformation to achieve a healthy, just and peaceful world. INEB would reach our 20th Anniversary in 2009. It is a good time for us to share our experiences with the likeminded peace workers worldwide, and to inspire one another along the path. amid the urbanizing Chiangmai city? click on the picture to get the bigger image. The fare BHT 605 each. Participants want to travel from Bangkok to Chiangmai by bus as timetable above, and need the INEB Organizing Team make a booking for you. Please kindly inform no later than October 25.